I hope to get by your blogs tonight! Glad you had that time to spend with your mom today. My mom is up from Florida for a visit so we have been busy with family things. Have a great week end. Your mother so appreciates your assistance! I know I would! I think the flower is a Mexican Petunia. They are very hardy. Glad your Mom is settling into her new home. Your temps sounds awful!!! Our temps have been running in the high 80's but with the humidity the real feel is is the low 100's. I bet you are enjoying your pool. Love that piece that you picked up and look forward to see what you are going to do with it. I'm glad that you were able to take some time out for yourself. 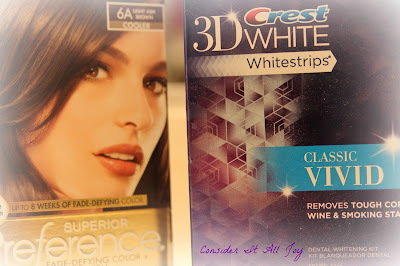 I should try those Crest white strips. My teeth could use some whitening! Hi Cindy - I'm starting to work on my letter pockets this week too, I thing it will be so fun! I haven't spent a lot of time in bogland this summer either...partly because I needed a little break. 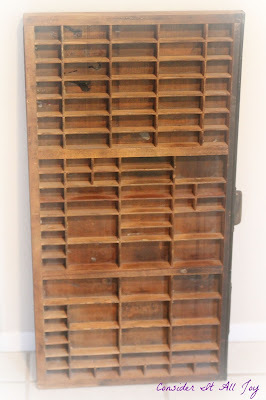 That's an awesome printer's tray you found! 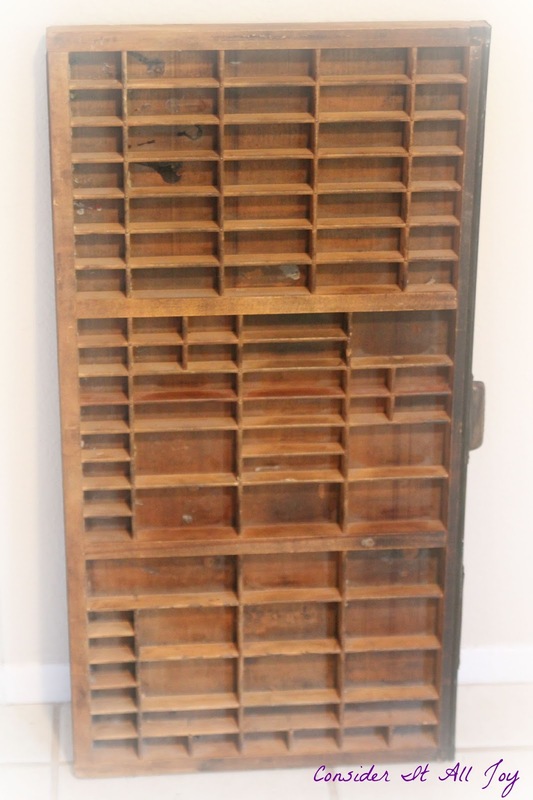 Hi Cindy, love this post and the printers tray is a treasure. I have the same one holding my thimble collection. So nice to catch up here and visit after some time away. What a difference a break makes. I'm ready to get back into my routine. Glad you had some time to relax and break too. Best wishes to your mom in her new home. Love catching up with you here. May your day and week be blessed dear friend! What a great price for your printer's box, Cindy! I'm sure you will have fun with that! It's so nice that you are helping your mom with her new place. I'm sure she really appreciates you. Enjoy all this August weather! Thanks so much for stopping by and for always taking the time to leave such a nice comment! Oh Cindy, it is so wonderful that you take some well deserved time out of your busy schedule to pamper yourself. Ooh, and love your awesome find. Wishing you a wonderful, and bit cooler day. Wow, hope it cools down soon Cindy. That is hot! Glad things are going well for your mom. The flower looks like it might be Penstemon. Hard to tell for sure. Does that whitener work well? I would like to try it. I have trays, but hate wearing them. I really should just put them on in the morning now and then, but never remember. Love your found treasures, and what a bargain! Hope your week is going nicely! What a great tray you found, Cindy, and what a great price, too! I'd love to see what you do with it. They are great for both storage or to get crafty with. That is a beautiful flower - it looks like Angel's Trumpet, but I've only ever seen them in white so I don't know if they come in other colors. Glad your mom is getting settled. I'm ready to get my roots done. Hair upkeep is so expensive. I used to do the box when I stopped working. I think I'm gonna have to go back to doing it myself. Yours is always so beautiful. Finding the right color is hard. You need to take some time for yourself. You deserve it. 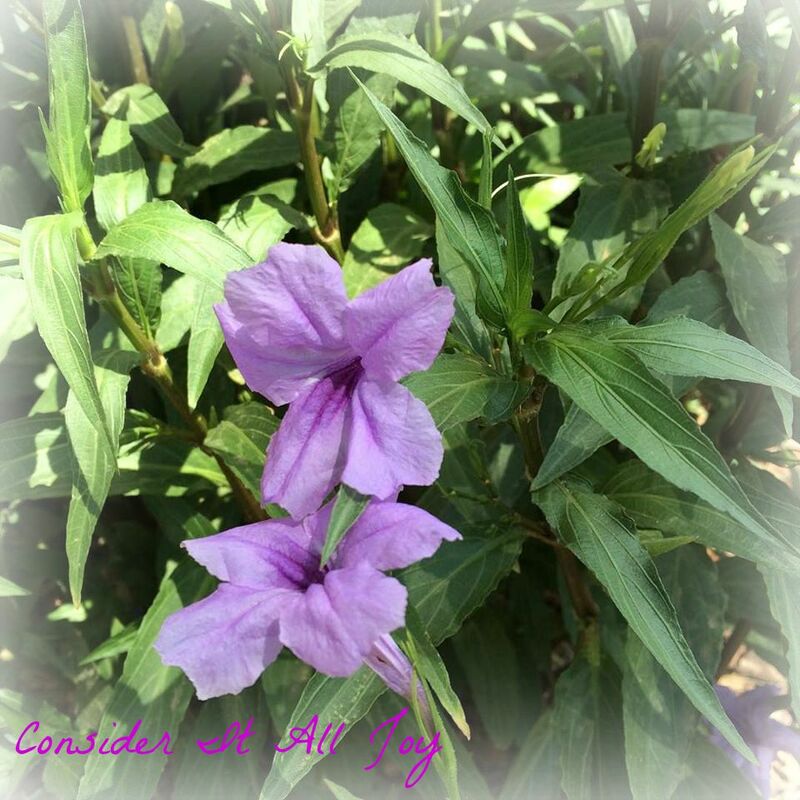 Thanks, Cindy for all your sweet comments on my blog.